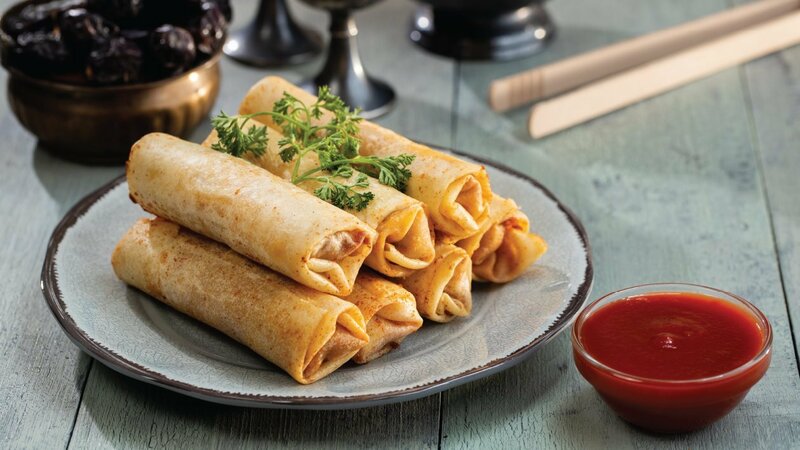 Everyone loves cheesy taquitos! Try the recipe below with a twist, which works great as an appetizer. Heat the oil in a large skillet over medium heat. Add the ginger and garlic and cook them for 3 minutes, stirring often. Add minced chicken, onions and green chillies and use a wooden spoon or a spatula to break it up while it cooks, cook about 3 minutes. Stir in 1/2 cup of the Knorr Italian Tomato Base, chilli powder, Knorr Chicken Stock Powder, salt and pepper. Cook the mixture over low heat, stirring occasionally, for 10 minutes. Place the roll Patti on a flat surface. Top each roll Patti with 2 tablespoons of the chicken mixture, spreading it to an inch from the edges. Sprinkle cheese evenly over the chicken.